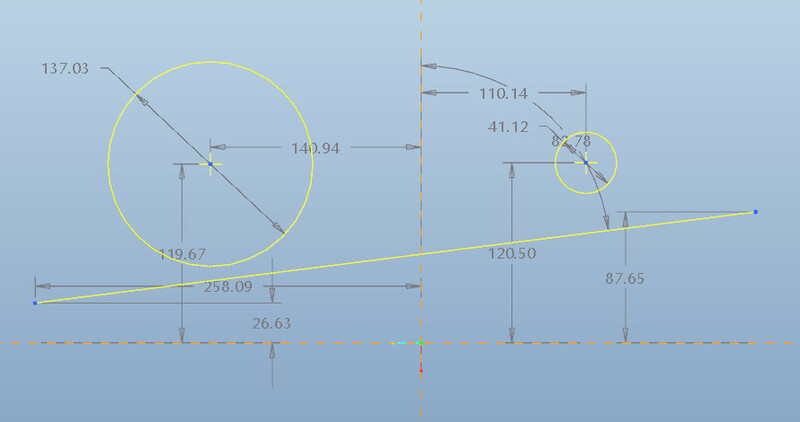 How do I make a line tangent to two circles in a sketch? 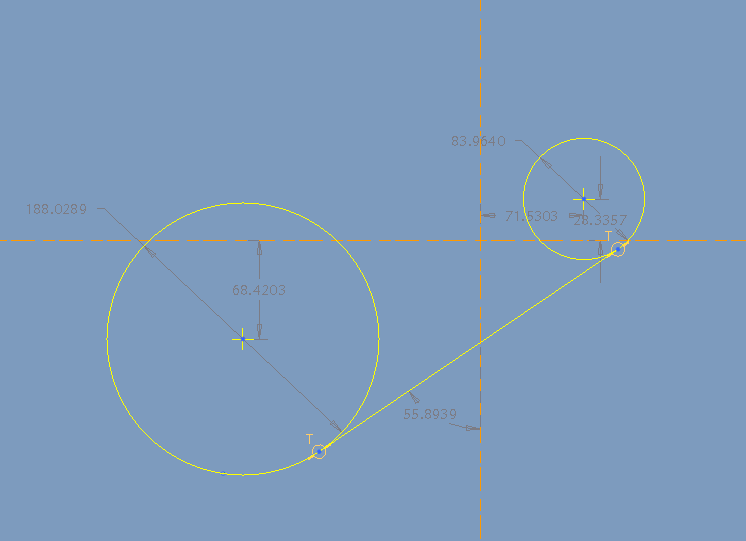 I don't see why I cannot make the line tangent to the second circle? 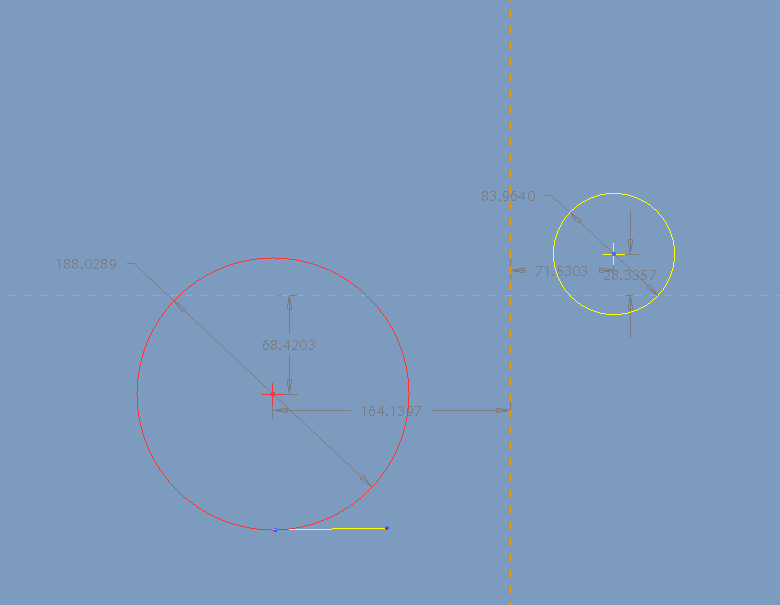 Re: How do I make a line tangent to two circles in a sketch? I usually do it in 2 ways. no problems with constraints anymore. I created two circles, snapped a line tangent to the bottom circle, brought it close to the top one then picked the tangent constraint, and it made the top circle and the line tangent to each other, or I can just snap a line then pick the tangent constraint for each circle and line. but I think I did have your problem once and don't know what fixed it, I'm picking the line first then the circles. Another option is to select the line fly out and grab the option for line tangent. 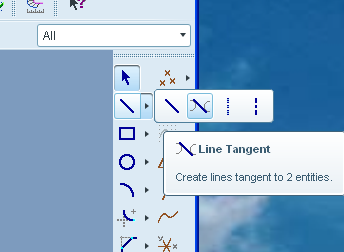 Select the line tangent icon. Select the second circle and you are done. thank you for helping me out Brian.